These pretzel Christmas treats are easy, colorful, sweet and salty and a great treat for kids at Christmas! 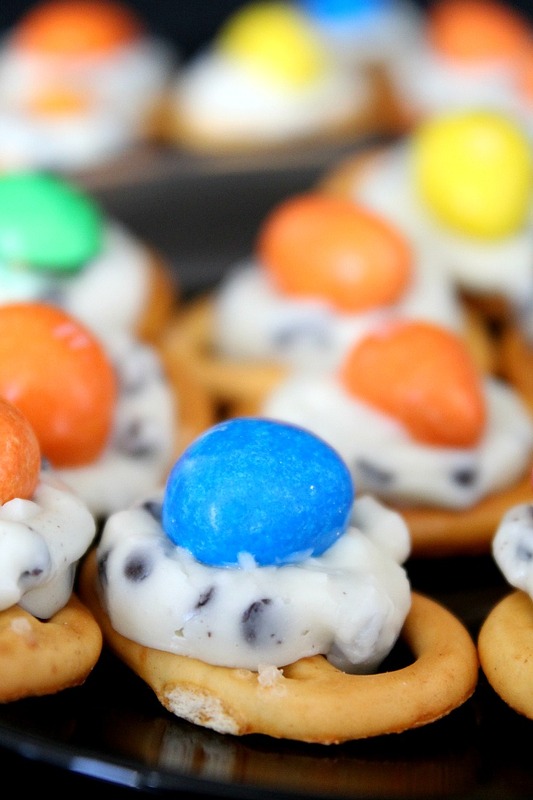 Work as wonderfully as a fun party snack too! I’ve never made these pretzel Christmas treats but boy, they turned out awesome! These go fast and can be color coordinated for any holiday and/or sporting events. I chose Hershey’s kisses Cookies ‘n’ Creme but any kind of Hershey’s can be used. Also I wanted to make these Christmas pretzel treats super crunchy and I topped them with M&Ms Peanut Chocolate Candies but any M&M’s work just as fine. 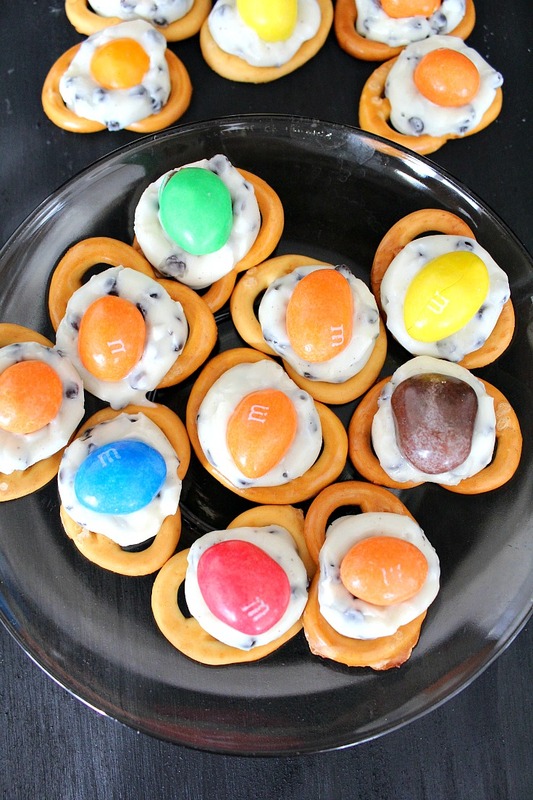 If you’ll have the kids help make these m&m pretzel treats as I did, you’re in for a lot of fun! And this is one recipe that won’t make mess around your kitchen. No more messing around with melting chocolate and dipping pretzels. A salty pretzel combined with sweet chocolate that tastes great and a crunchy peanut can only be fantastic! And that’s exactly how these little pretzel Christmas treats are! 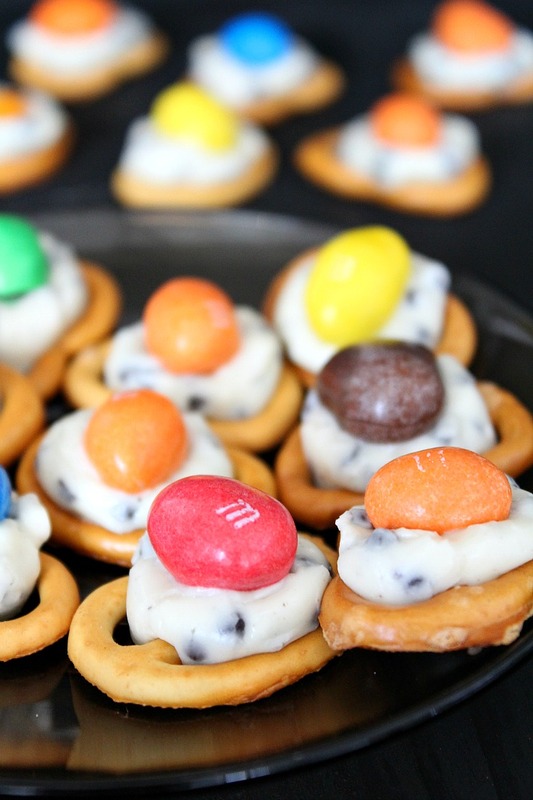 I love everything about this fun pretzel Hershey kiss M&M recipe. These are beautiful yet so simple to make. And are so insanely easy that I’m ashamed to call this a recipe! Really! I love your little treats they are awesome! Thanks so much for sharing your post with us at Full Plate Thursday and have a great day. I love how easy these are to make – this would be perfect to make with little kids!